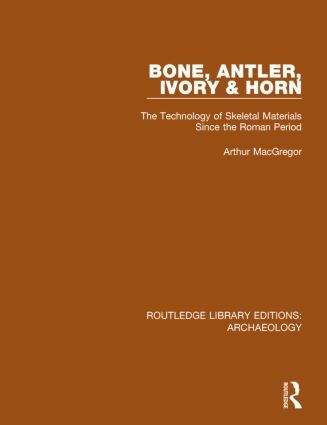 Artefacts made from skeletal materials since the Roman period were, before this book, neglected as a serious area of study. This is a comprehensive account which reviews over fifty categories of artefact. The book starts with a consideration of the formation, morphology and mechanical properties of the materials and illuminates characteristics concerning working with them. Following chapters discuss the organisation of the industry and trade in such items, including the changing status of the industry over time. Archaeological evidence is combined with that from historical and ethnological sources, with many illustrations providing key visual reference. Originally published in 1985.